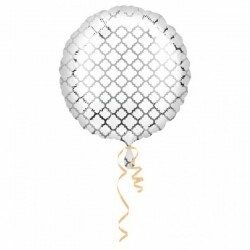 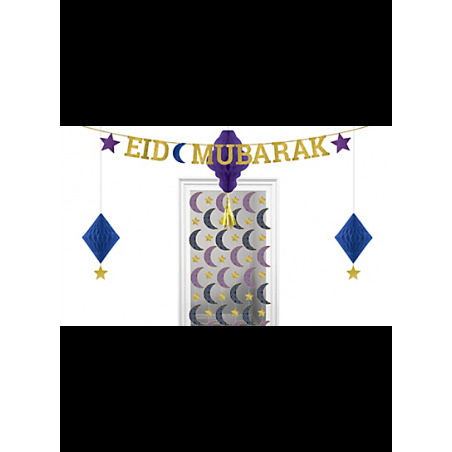 Get your party space ready for Ramadan/Eid with these Crescent Moon & Star Eid Honeycomb Decorations! 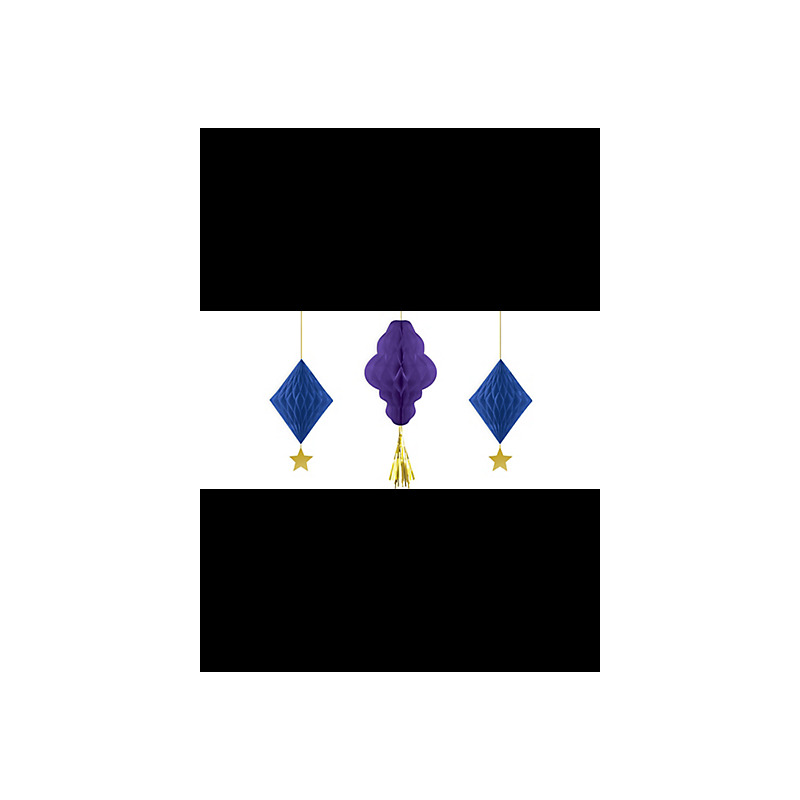 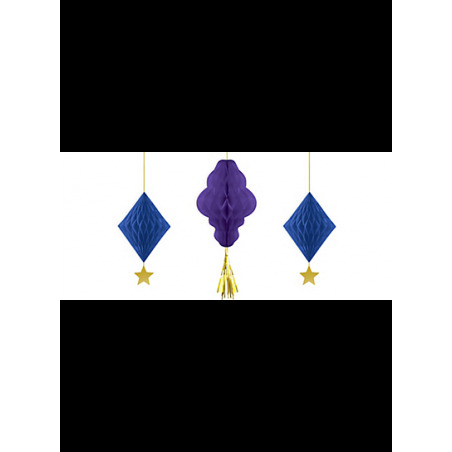 This set of hanging decorations is made of paper and features two blue diamond-shaped decorations and one purple abstract shape. 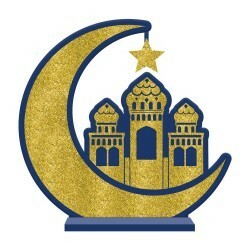 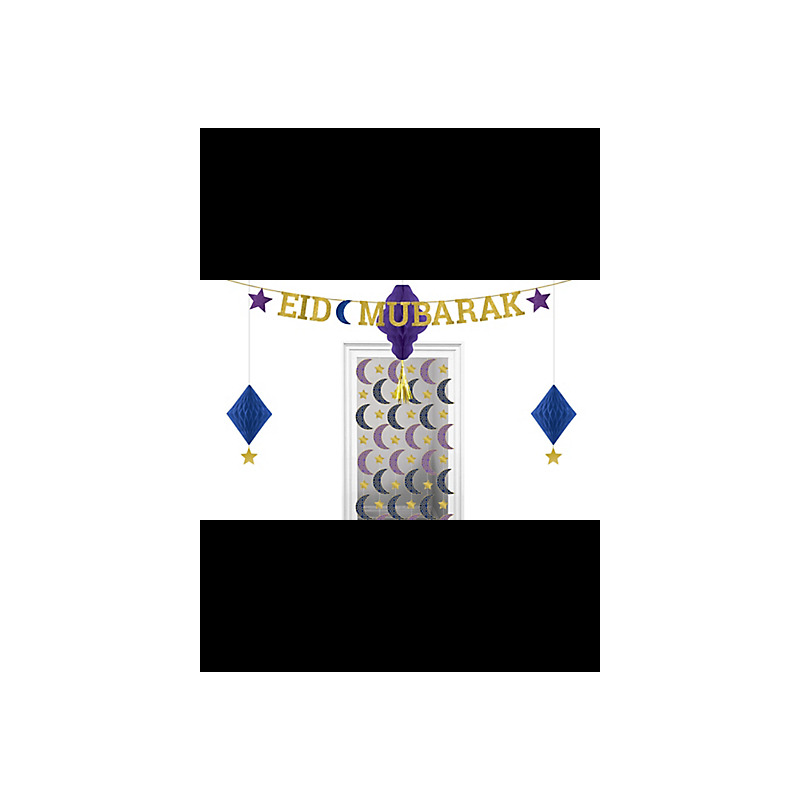 Attached to the bottom of the diamonds are a metallic gold crescent moon and a star. 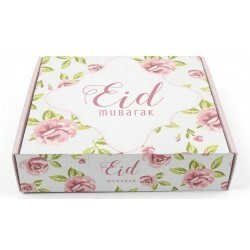 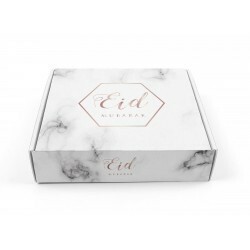 Decorate your party space for Ramadan/Eid al-Fitr or Eid al-Adha with these paper decorations!